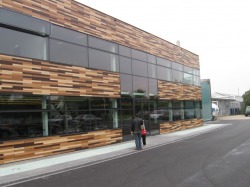 The commissioned work consisted to give answer to the wish of the client to add a second floor for more workplaces over the existent building and to give a new image to the company. 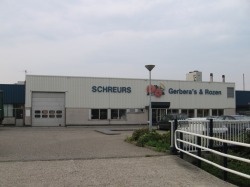 Schreurs is one of the world's leading international floricultural houses. This played a fundamental rol at the moment to design the image of the new building and for the election of materials and colours. The internal disposition of workplaces and circulations have been determined by the client´s wish to give the office a more informal and friendly atmosphere.